I had seen Rachel's books on book lists for a while now. I saw her name pop up online but I hadn't been bothered to check her out. This January I started a weight loss challenge and one night I found myself looking for some inspiration. I can't remember the exact quote I stumbled upon but the jest of it was that what I want right now is not more important than my bigger dream/goal. It's a quote that I have used for months now. I want to stay home and not go to gym - not part of my goal. I want to eat a Timbit - not going to get me to my goal. 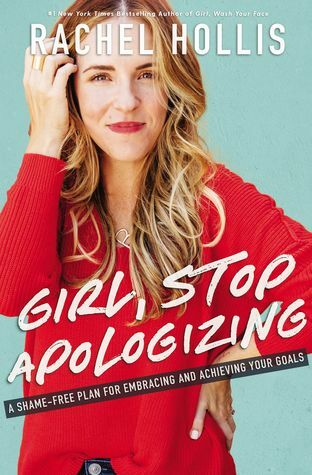 Girl, Stop Apologizing is a book that women will find a chapter that they can relate to. Rachel's writing is funny and casual like a conversation. Topics range from weight, religion, friendships, children and more. She's not afraid to get uncomfortable and tackle some tough topics either. If you are looking for some inspiration or some reassurance to let you know you don't have to regret that last bad choice then pick up Girl, Stop Apologizing at Chapters. Order before April 7th and spend $30 to get 10x the Plum Points. Gordon Korman is an amazing Canadian author. He published his first book when he was just 14 years old and went on to publish four more novels before he graduated high school. I remember reading his books when I was in school. Today Gordon Korman knows his audience just as well as he did back then. 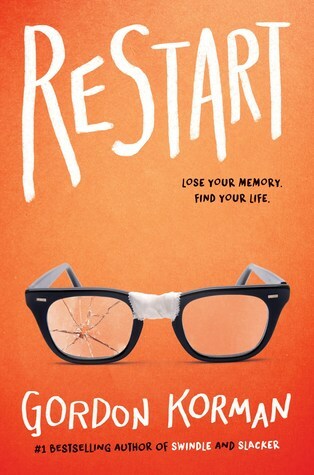 Restart is a hilarious novel that I read aloud to a grade 4/5 class this year. The characters were funny and students could relate to them. Chase Ambrose is the biggest bully in school. No one is out of Chase's target zone. He picks on everyone. Until one day he falls off the roof of his house and gets amnesia. What's more shocking is that Chase that fell of the roof is actually a nice guy and has no memory of being the school bully. Many students wonder if it can really be true. Chase wonders if he really could have been that bad. If Chase's memory comes back will he still be the nice guy or go back to his old ways? This would be a great book to pick up for a junior grade student to read this summer. I wonder if we might see it on the Forest of Reading list in November. He also has a new book called Whatshisface that just came out and looks to be just as funny. Ruthie has the perfect life. She has her dream job working at an art museum. She adores her teenage daughter Jem. She has some lingering feelings for her ex-husband but somehow through it all they've managed to stay good friends. She also loves her home on Long Island. It needs a bit of work so to pay for some upgrades and save for the future they rent the home out ever summer. It works. But after many summers of leaving their home it's starting to wear on Ruthie and Jem. This summer seems particularly draining as they're staying at a friend's mansion while they travel to Paris. The rich summer folks seem everywhere. Ruthie certainly is the main character of The High Season but the story has a number of fun characters and story lines. What I found interesting is that the characters and story lines cross many generations. Jem has her typical teenage drama happening among her so called friends. Then there is 27 year old Lucas who is living in Ruthie's house. Ruthie has her own drama going on with all the adults. Somehow the story all fits together. But can Ruthie keep it together until the end of summer? Lisa Genova is one of my all time favourite authors so I will periodically check to see if she's wrote a new book yet. I was surprised and excited when I saw the cover for Every Note Played. As expected I was crying before page 65. Genova's characters are so real and their pain and emotions are so genuine you can't help but let a few tears roll as you read along. 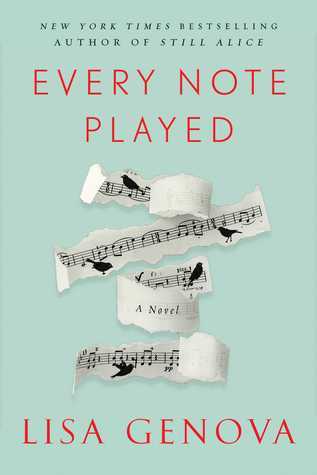 Every Note Played is about a world famous pianist named Richard. Richard is incredibly talented and when he's not performing on stage he has a string of women prancing through his bed. Karina used to be a promising pianist but her dreams got crushed by Richard's, her ex-husband. Now she's leaving in Boston, divorced and alone since her daughter went off to university. She makes ends meet teaching a few piano lessons in the evenings. Soon Karina is hearing rumors about Richard. He's cancelling tours. Friends say he's not doing well. Maybe ALS. Karina needs to see for herself. Very quickly Richard has gone from top of the world to needing home care. When Richards needs begin out weighing the amount of care he can afford Karina realizes she's going to have to be the one to step up and take care of him. In 2011 the ice bucket challenge spread across North America in an attempt to draw attention and raise funds for ALS. Many people got caught up in Facebook challenges without knowing the true suffering those with ALS endure. Every Single Note is a heartbreaking tale of how ALS can stop a life in it's tracks. One of my favourite middle grade books is the Rule of Three. This novel is the first in the series and a great read aloud. I was eagerly anticipating a rumored book four in the series. I have to admit I felt a twinge of disappointment not to pick up where we left off in Will to Survive but I quickly got over it and embraced another Eric Walters' hit middle grade book. Fourth Dimension introduces a new character, 15 year old Emma, along with her mother, a former marine and her brother. After her parents recent separation they have moved to what many will recognize as Toronto. There they are struggling to adapt to city life when the power and all electronics quit one day. The family had already been packed for an upcoming camping trip so they continue on their journey but pick a camping spot on Toronto Island (although not exactly called Toronto Island most from Ontario will recognize it as that) instead. Days turn into weeks and weeks turn into months as Emma's mother does her best to take care of her family and those they meet. Many battles occur and 15 year old Emma proves herself to be a very competitive match in a fight. Fourth Dimension will make another terrific read aloud to any middle grade class. 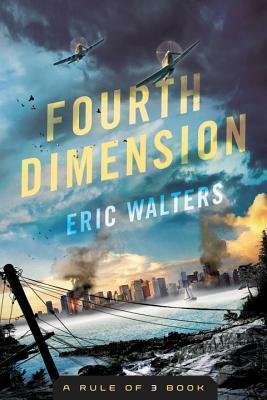 With the same intensity as Rule of Three Eric Walters' Fourth Dimension is an intense, action story with a strong, female character. I hope the series continues. 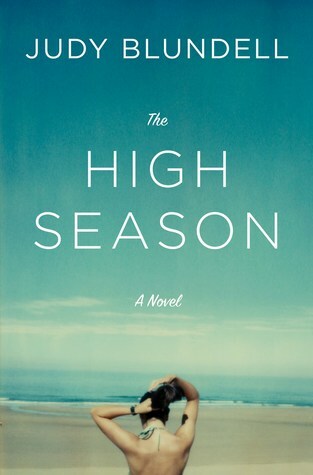 The story begins with an unavoidable car accident during the midst of a snow storm. Richard is willing to accept fault but Evelyn needs more help than just repairing her bumper. Evelyn is an illegal immigrant with not a friend in the world and a dead body in her trunk. This is more than Richard can deal with so he enlists the help of his boarder Lucia. The three lives soon become entwined as the navigate the winter storm together in search of a spot to hide a body. 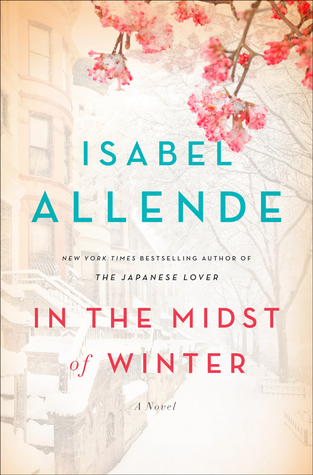 In the Midst of Winter is a novel that easily moves between 1970 Chili and Brazil to present day Brooklyn. The story explores what has brought each character to Brooklyn and the paths and obstacles it took before they got there. In the Midst of Winter is a murder mystery, a love story under the most unusual circumstances and a tragic immigrant and refugee experience. Zero Repeat Forever is a 5 star book. I don't say that too often. I LOVED this book. First of all the cover. It's stunning. Go ahead and judge this book by it's cover. Beautiful. I know I've recently wrote another book review on here where I claim that I dislike science fiction and here I am again reading science fiction and giving it top ratings. Maybe I do actually like science fiction?!?! This book is a few pages short of 500 and I didn't want it to end. Zero Repeat Forever is about a group of kids away at a camp for the summer in Alberta when the world is taken over by another life form. They can see big cities exploding in the distance. They believe if they leave the camp they will be killed. They've seen videos. They are called Nahx. They shoot you with a dart and that's the end. Raven and her friends have been living at camp for a few months now but their food supply is dwindling, winter is coming and they need to make a move. See if they can find other survivors and search for more supplies. But it doesn't take long before they are face to face with their first Nahx. 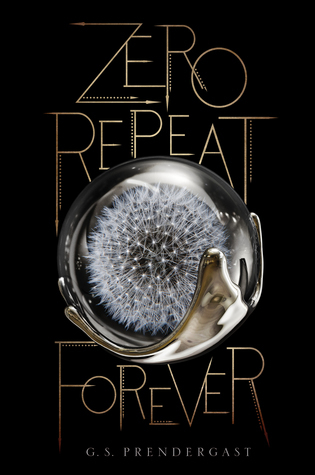 Zero Repeat Forever is a dystopian Beauty and the Beast story. I was constantly being drawn in for one more chapter. The only negative thing I could say is that there are a handful of references to some drug use that just felt unnecessary to me. Unfortunately, not a book I can buy for my school but perfect for grade 9 and up. I'm a library technician at an elementary school (grade JK-8). I love to read and talk about what I read. I want to know what you read. Let's talk books and have a hot cup of tea!